What does conservation mean to us? Simple. In the Bahamas it’s all about maintaining healthy flats fisheries in order to ensure great bonefishing today, and a similar outlook for tomorrow. That’s why Nervous Waters has been a longtime supporter of the Bonefish & Tarpon Trust (BTT), a hardworking NGO committed to protecting and enhancing critical flats habitats. In the Bahamas, BTT uses its research findings to educate anglers and improve resource management. And on both Abaco and South Andros islands, it’s been busy studying our flats ecosystems and the species that frequent them. 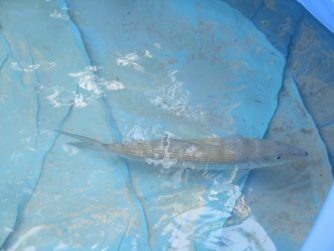 Thanks to those continuing efforts, we now know more about the bonefish tailing in our backyards than ever before. And we’re using that knowledge to achieve some remarkable results. BTT has identified six major offshore spawning sites for bonefish in the Bahamas. It’s using the data to aid the Bahamas National Trust in creating national parks, in areas such as the Marls, on Abaco, to protect important habitat from future development. Created a genetics program to determine the extent that bonefish populations in different locations are related. Using this info to study where regional vs. local conservation strategies make the most sense. 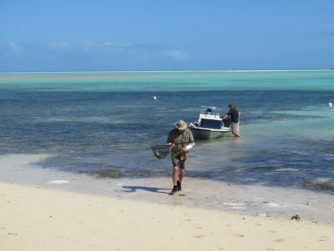 Studying whether or not bonefish growth rates differ from island to island, and creating conservation strategies based on the findings. Using bonefish beta to help shape BTT’s Bahamas Initiative, which encourages guides and lodge owners, in concert with government agencies, to create effective fish and habitat management plans. In addition to providing in-kind support and on-the-ground assistance to BTT, Nervous Waters is proud to work with Abaco-based Friends of the Environment. This grassroots organization is dedicated to protecting healthy habitats and educating children on why these measures matter. 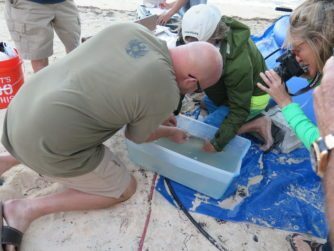 Friends has been instrumental in both establishing and maintaining Abaco’s six national parks, where bonefish conservation is a mission-critical component. Finally, community is the glue that holds these efforts together. And beyond conservation, Nervous Waters is committed to looking after our extended family of talented guides and lodge professionals. We established our Family First Scholarship Fund in 2016. The goal is to empower employees’ children, inspiring the next generation to take their learning and earning abilities to the next level.